In the world of printed collateral, the rules have changed. If you send an actual mailed invitation in addition to your e-blasts for a special event, your brand will stand out from the pack. Just a decade ago the opposite was true. But in order to convince brand management that your need for a printed invitation is real, you had better also present them with something exceptionally compelling, cost effective and without a long lead time. HighResolution has helped us elevate part of our business. They have problem-solved and developed ways to print what we need to the highest of standards while staying within our different budgets. 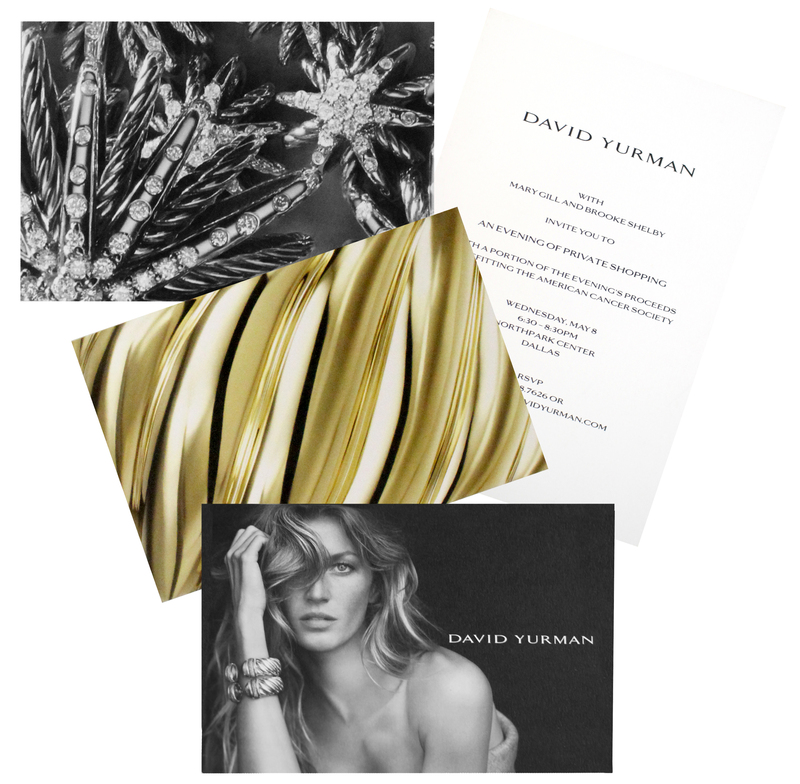 Together, we have developed a David Yurman invitation for all outlets of our business that is recognizable and becoming a standard. For more on this topic, and tips for adding luxurious printed matter to your own brand’s marketing mix, see Five Tips for Irresistible Invitations. Previous post: Welcome to Life in High Res! Powered by WordPress.com. Milen Petrinski - Gonzo.